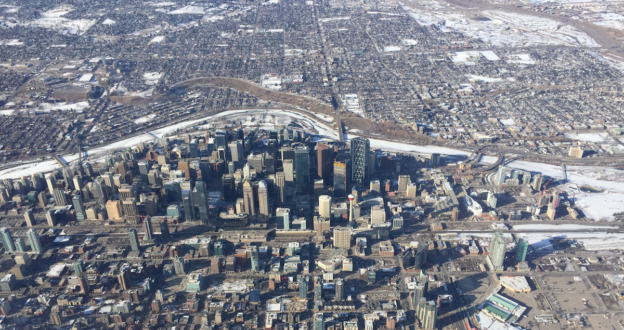 Photo: Central Calgary, with Calgary-Buffalo located south of the Bow River and Calgary-Mountain View located to the north. 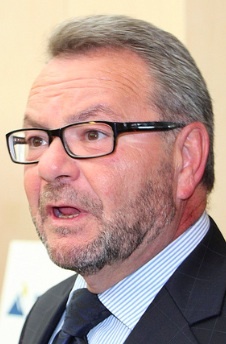 Alberta’s lone Liberal MLA has announced that he will not seek re-election in the 2019 provincial election. 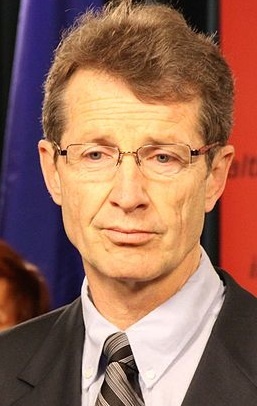 David Swann was first elected as MLA for Calgary-Mountain View in his party’s 2004 breakthrough in that city and he later served as party leader from 2008 to 2011 and 2015 to 2017. 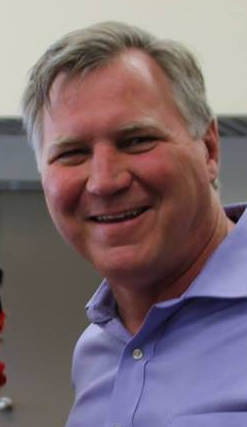 His departure in the next election will mark the first time since 1986 that the Liberal Party will not have an incumbent MLA running for re-election in a general election. On the same day as Swann’s announcement, Minister of Justice and Solicitor General Kathleen Ganley announced she would seek re-election in Calgary-Mountain View, across the river from the Calgary-Buffalo district she currently represents. 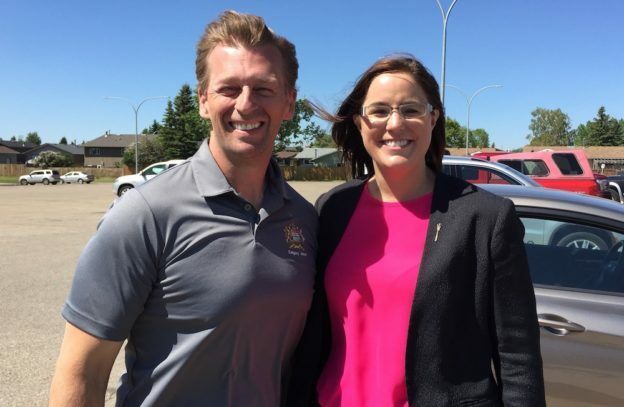 Ganley will become the New Democratic Party‘s first nominated candidate of the 2019 election on April 14 when she is expected to be acclaimed at a nomination meeting in Calgary-Mountain View. Ganley’s move across the river to Mountain View allows for Finance Minister Joe Ceci to run for re-election in Calgary-Buffalo. 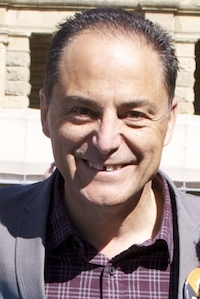 Redistribution of the electoral boundaries has added areas from Ceci’s Calgary-Fort district into Calgary-Buffalo, including the neighbourhood he lives in. The move allows the NDP to avoid two senior cabinet ministers challenging each other for the same district nomination ahead of the next election. 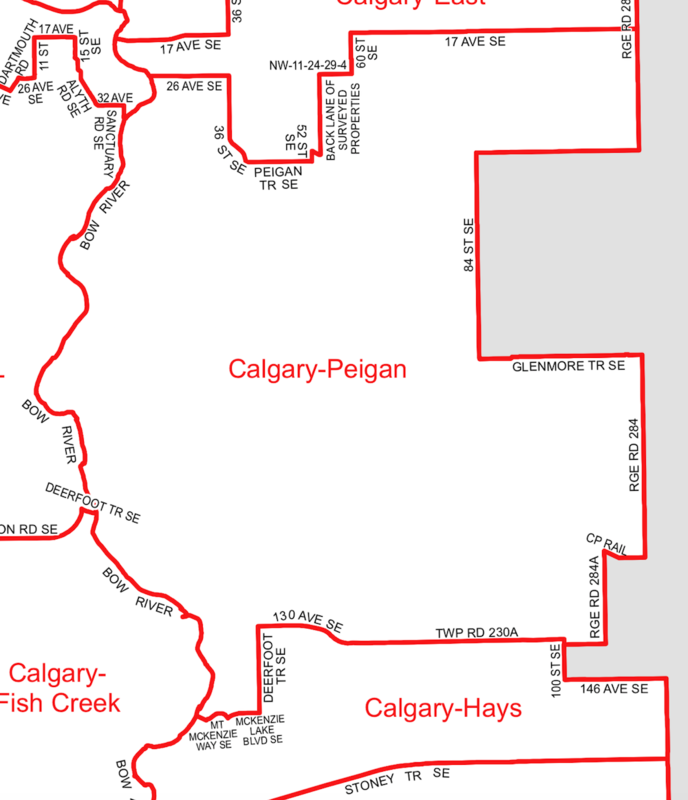 It also moves Ceci into what could be expected to be more friendlier territory than the new Calgary-Peigan district, which encompasses much of the rest of the Calgary-Fort district. Calgary-Buffalo is the historically least conservative district in Calgary, with voters in that district having elected Liberal or NDP MLAs in 8 of the past 10 elections. While the NDP have been able to avoid incumbent MLAs challenging each other for nominations, the United Conservative Party has not. In northeast Alberta, two UCP MLAs are running against each other for the past nomination in the new Bonnyville-St. Paul-Cold Lake district. Bonnyville-Cold Lake MLA Scott Cyr and Lac La Biche-St. Paul-Two Hills MLA David Hanson have seen their districts significantly redrawn, with one less district in that region of the province to reflect population changes. 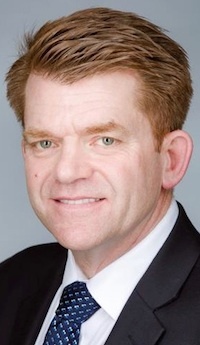 Had UCP MLA Brian Jean not resigned as MLA for Fort McMurray-Conklin, Hanson might have run for his party’s nomination in the new Fort McMurray-Lac La Biche district. But Jean’s resignation means a by-election to choose a new MLA will need to take place in Fort McMurray-Conklin before the next election. If a UCP candidate is elected in that by-election, they will presumably run for re-election in the new Fort McMurray-Lac La Biche district. Political parties in Alberta have generally avoided the type of scenarios that would pit two incumbent MLAs from the same party against each other. I can only recall one example of two incumbent MLAs from the same party challenging each other for a nomination in the same district. Ahead of the 1993 election, Edmonton-Kingsway MLA Alex McEachern and Edmonton-Jasper Place MLA John McInnis both sought the NDP nomination in the newly redrawn Edmonton-Mayfield district. 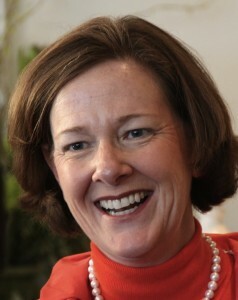 McEachern won the nomination contest and McInnis ended up running in another district across the city. I am planning to post additional updates about the growing list of nomination candidates in the next few days. But in the meantime, if you know any candidates who have announced their intentions to stand for party nominations, please send me an email at david.cournoyer@gmail.com. I will add them to the list. 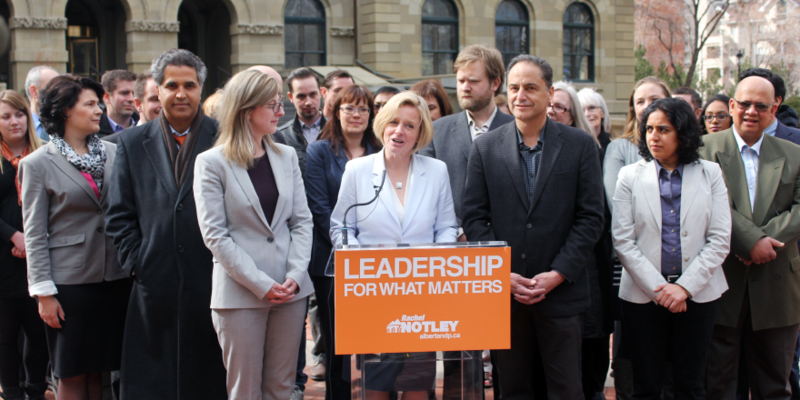 “Effective immediately I have tendered my resignation from the role of leader of the Green Party of Alberta,” was the one-line statement posted on the Green Party website by leader Romy Tittel on March 24. 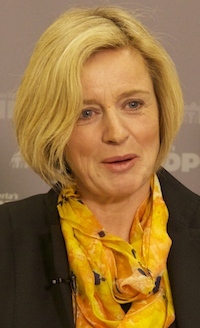 Tittel was chosen as party leader in November 2017 and ran under her party’s banner in the Calgary-Lougheed by-eleciton. Green Party president Marco Reid posted online that the party’s executive council would be calling a meeting to discuss this affair further. The party is scheduled to hold its policy conference in Calgary on May 5, 2018. This entry was posted in Alberta Politics and tagged Alberta Election Candidate Nominations, Alberta NDP, Alex McEachern, Bonnyville-St. Paul-Cold Lake, Brian Jean, Calgary-Buffalo, Calgary-Fort, Calgary-Mountain View, Calgary-Peigan, Candidate nominations, David Swann, Fort McMurray-Conklin, Fort McMurray-Conklin by-election, Fort McMurray-Lac La Biche, Green Party of Alberta, Joe Ceci, John McInnis, Kathleen Ganley, Marco Reid, Romy Tittel, Scott Cyr, United Conservative Party on March 26, 2018 by Dave Cournoyer. With Alberta’s provincial election expected to be called tomorrow, both the governing Progressive Conservatives and New Democratic Party are expected to have candidates in place in all 87 constituencies today. If the writ is dropped tomorrow, April 7, then the provincial election will be held 28 days later on Tuesday, May 5, 2015. 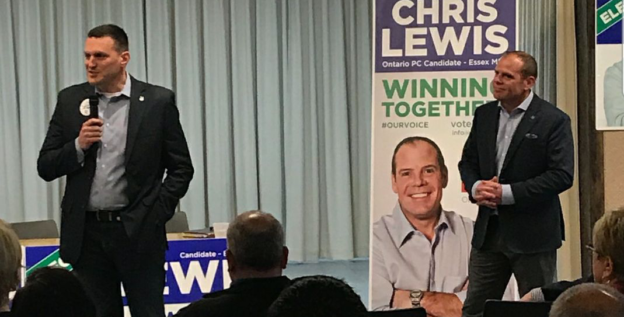 The final PC candidate nomination meetings being held today are in Calgary-McCall and Calgary-Fort. 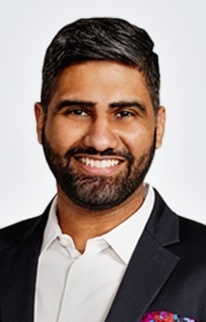 There are six candidates seeking the nomination in Calgary-McCall (Rajinder Harika, Issa Mosa, Muhammad Rasheed, Jagdeep Sahota, Jangbahadur Sidhu and Kuldeep Sidhu) and four in Calgary-Fort (Bev DeSantis, Andy Nguyen, Christopher Primeau and Peter Singh). Ms. DeSantis has received Mr. Prentice’s endorsement in the Fort nomination. 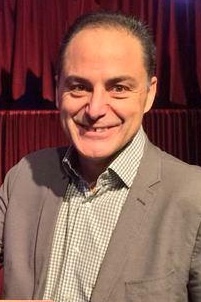 Edmonton City Councillor Tony Caterina is the PC candidate in Edmonton-Beverly-Clareview. 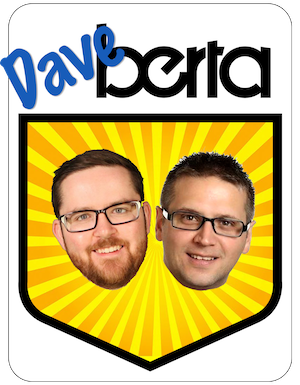 Mr. Caterina will face hard-working first-term NDP MLA Deron Bilous. 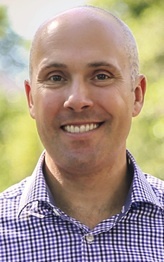 Mr. Caterina is well-known in northeast Edmonton, having represented that area since 2007, and his candidacy will keep this swing riding in play. 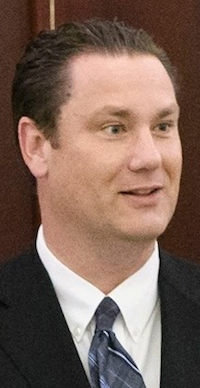 Since 2004, the constituency has changed hands three times between the PCs and NDP, with Mr. Bilous defeating PC MLA Tony Vandermeer in 2012 by 245 votes. This is Mr. Caterina’s second attempt at provincial office. 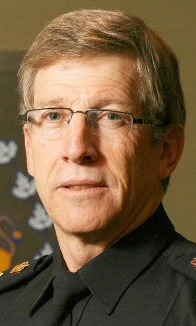 He stood as the Alberta Alliance candidate in Edmonton-Centre in the 2004 provincial election. According to CBC reports, when the election is called Mr. Caterina will suspend his City Council salary but he will continue to participate in council meetings during the campaign. 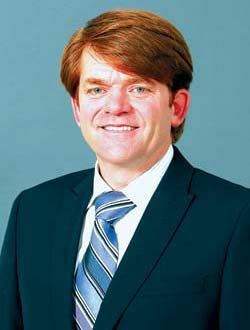 Mr. Caterina replaces Harman Kandola, who was nominated as the PC candidate in that constituency in late March. 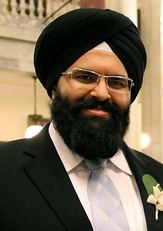 Mr. Kandola is now the appointed PC candidate in Edmonton-Ellerslie, a spot that was vacated under controversy by former cabinet minister Naresh Bhardwaj. 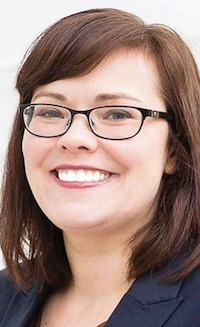 The PCs appointed Catherine Keill as their candidate to challenge Liberal/Green/Alberta Party candidate Laurie Blakeman in Edmonton-Centre. 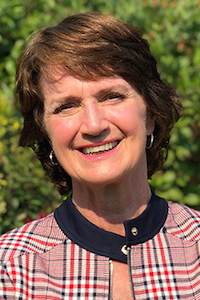 Ms. Keill is the Director of Community and Caucus Outreach in the Premier’s Office and previously worked for Mr. Prentice when he was a cabinet minister in Ottawa. She also served as Deputy Chief of Staff to former Mayor Stephen Mandel and was campaign manager for former City Councillor Karen Leibovici‘s mayoral election bid in 2013. The last time a PC candidate was elected in this constituency, Peter Lougheed was premier. 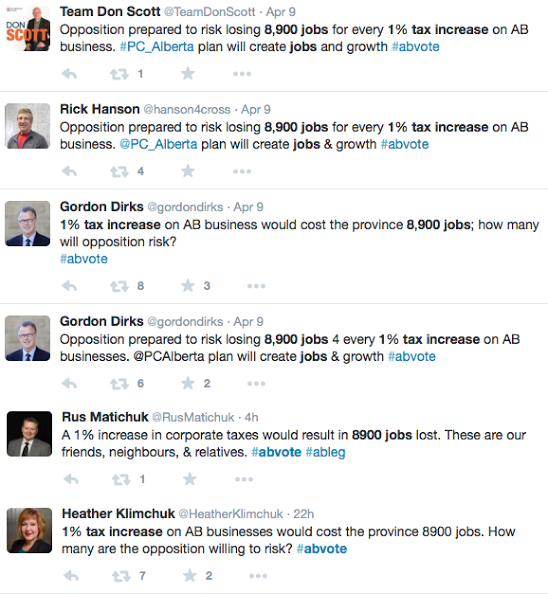 I have updated the list of Alberta Election candidates with these and more changes. 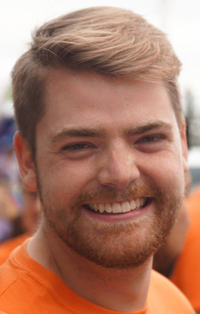 Mack, Ryan and I are excited to announce that NDP leader Rachel Notley will be our guest on the AbVote Google Hangout at 7:00 p.m. on Thursday, April 9, 2015. Watch the hangout live at abvote.ca and send us your questions using the #abvote hashtag on Twitter. You can also watch previous hangouts with Edmonton-Centre MLA Laurie Blakeman and the Wildrose leadership candidates. 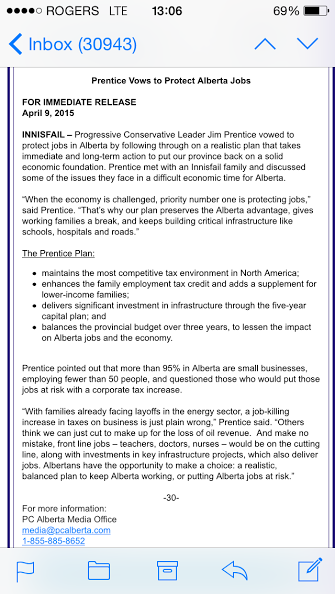 This entry was posted in Alberta Politics and tagged Bev DeSantis, Calgary-Fort, Calgary-McCall, Catherine Keill, Deron Bilous, Edmonton-Beverly-Clareview, Edmonton-Centre, Edmonton-Ellerslie, Harman Kandola, Jim Prentice, Karen Leibovici, Laurie Blakeman, Michelle Draper, Naresh Bhardwaj, Peter Lougheed, Stephen Mandel, Tony Caterina on April 6, 2015 by Dave Cournoyer.